For people who have just hosted a baby shower and want to send some baby shower thank you cards to show the appreciation for the people’s presence and for their gifts, this template will help a lot. Handing some personalized baby shower thank you cards out to your guests is not only good etiquette, but also deserves to be considered as a sweet thing. 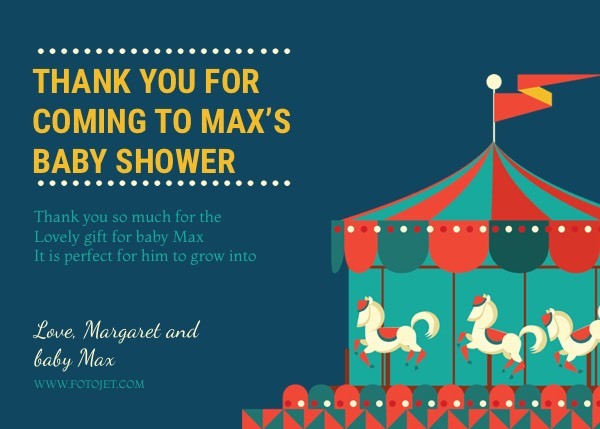 This baby shower thank you card template with carousel images will help you easily make delicate cards online.